The “Actual Hot Goss” segment of Busy Tonight is definitely one of our faves, especially when it involves one of the host’s longtime friends. 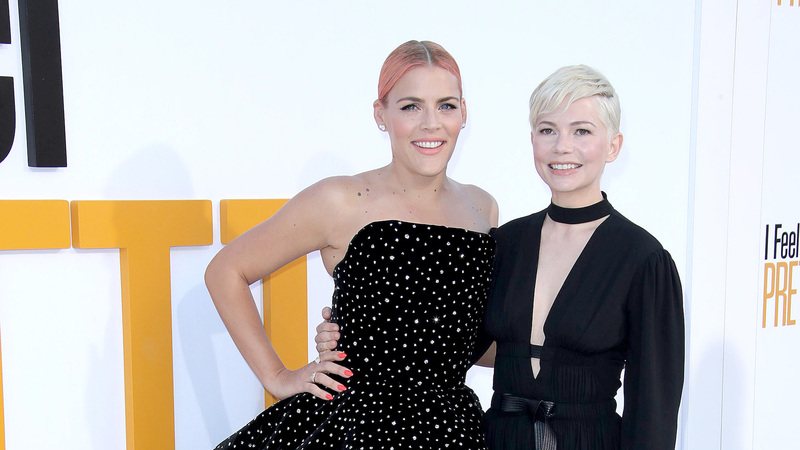 On Thursday, Busy Philipps and Michelle Williams hung out in a sauna and dished about some of their most cherished Hollywood memories, from the mundane to the truly scandalous. Philipps also recalled a time that she and Williams went to a “Hollywood hot spot” where a director Williams had met with about working together, but ultimately decided not to pursue a working relationship with, just so happened to be. She said she and Williams were “a little toasty,” but still the director came up and tried to connect. “Which is hard to do when you’re in a place [with loud club music],” Williams said. Philipps agreed, revealing that when Williams attempted to introduce the director to her, he said, “Oh, yeah, we’ve met a million times but it was before I was famous so she doesn’t remember.” Ouch. To finish their “hot goss” session, Williams actually brought up a story that she couldn’t rightly tell on TV. She whispered it in Philipps’ ear, while a loud beeping sound played over her words for extra secrecy. We always love seeing these two together, and this segment was no different — in fact, Williams’ entire appearance on Busy Tonight is a gem worth watching.